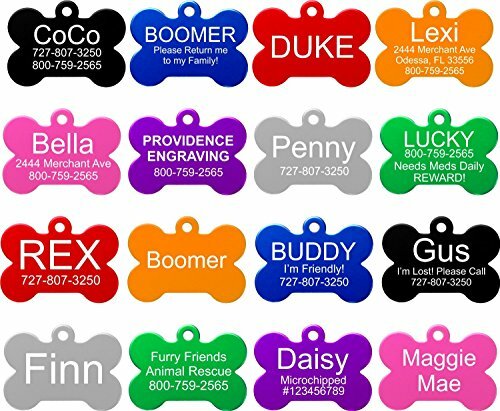 Welcome to our store for more custom pet Id tags! There various pet tags in our store, we believe you can find one that belongs to your pet. Pattern only on one side.The other sied is without pattern. Anodized aluminum pet tag. Unique pet tag is the perfect gift. You can't miss it One side printing. Please provide us your custom information after you place the order so that we can process your order. 1.Engraving Information 2.Color If there are any needs or questions,please do not hesitate to contact us.